Results from the J.D. Power and Associates 2011 Home Buyer/Seller Study, recognize RE/MAX for providing the highest overall consumer satisfaction for both home buyers and home sellers. In last year’s study, two different companies ranked the highest in each category, but this year home buyers and sellers both rated RE/MAX the highest. "It all comes down to professionalism and a commitment to a premier level of customer service," said RE/MAX Chairman and Co-Founder Dave Liniger. "Because RE/MAX agents average more experience and training than other agents, they are better prepared to deal with home buyers and sellers in any kind of market. And, consumer preferences tell the story . 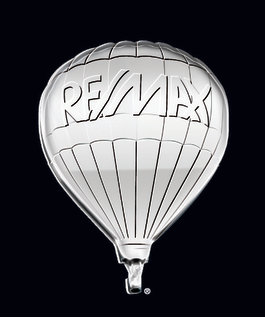 . . nobody sells more real estate than RE/MAX." This is the fourth annual study of home buyer and seller satisfaction with the largest national real estate companies, conducted by J.D. Power and Associates. For the home buying experience, three factors were considered: agent/salesperson, office and a variety of additional services. Four factors were examined for the home-selling experience: agent/salesperson, marketing, office and a variety of additional services. Details from the study indicate that on a scale of 1,000, homebuyer respondents ranked RE/MAX with a score of 805 and home sellers put RE/MAX on top at 791. The 2011 study includes more than 4,200 evaluations from 3,680 respondents who bought or sold a home in the U.S. between March 2010 and April 2011. In two other 2011 industry surveys of the country’s top real estate brokerages, RE/MAX agents averaged more transaction sides than agents at the other national franchises. The RIS Media Power Broker Survey and the REAL Trends 500 both showed that RE/MAX agents averaged over 14 transactions sides, more than double the average of many competitors. About J.D. Power and Associates: Headquartered in Westlake Village, Calif., J.D. Power and Associates is a global marketing information services company operating in key business sectors including market research, forecasting, performance improvement, training and customer satisfaction. The company’s quality and satisfaction measurements are based on responses from millions of consumers annually. For more information on car reviews and ratings, car insurance, health insurance, cell phone ratings, and more, please visit JDPower.com. J.D. Power and Associates is a business unit of The McGraw-Hill Companies.